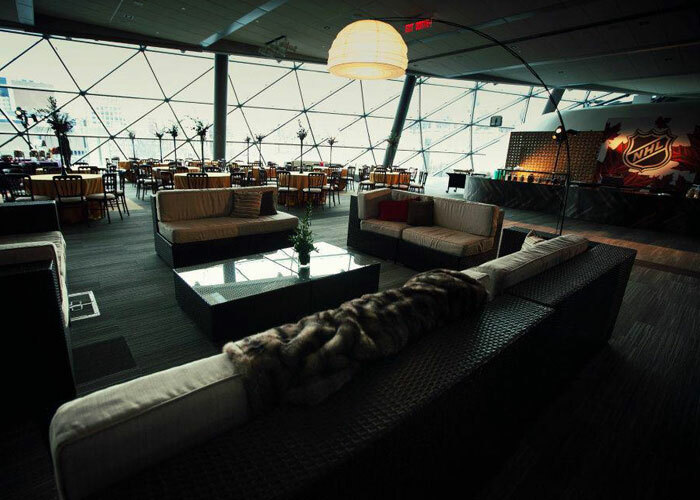 Rentals For the NHL All Star Game in Ottawa. NHL All Star Game In Ottawa. 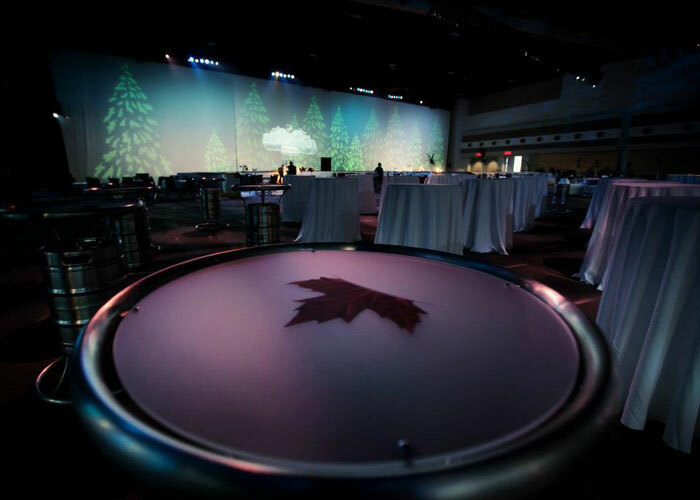 The game, the Convention Centre, parties, the city was jam packed with excitement. 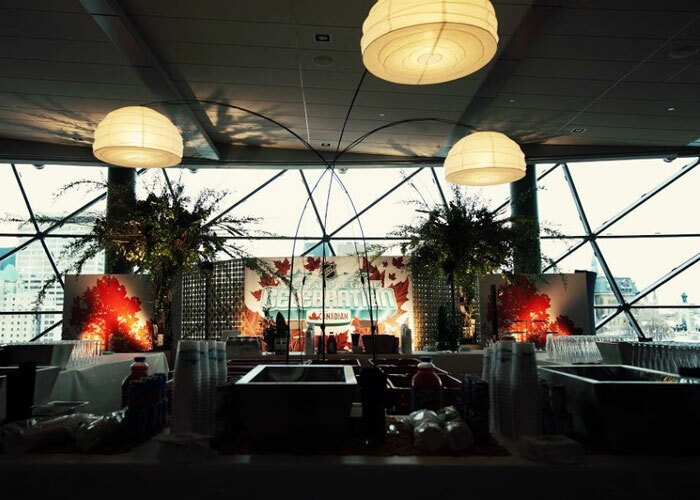 Ottawa Special Events was very fortunate to be one of the chosen suppliers for the Fan Fair at the Convention Centre! We were still a young company at the time we were asked to participate. 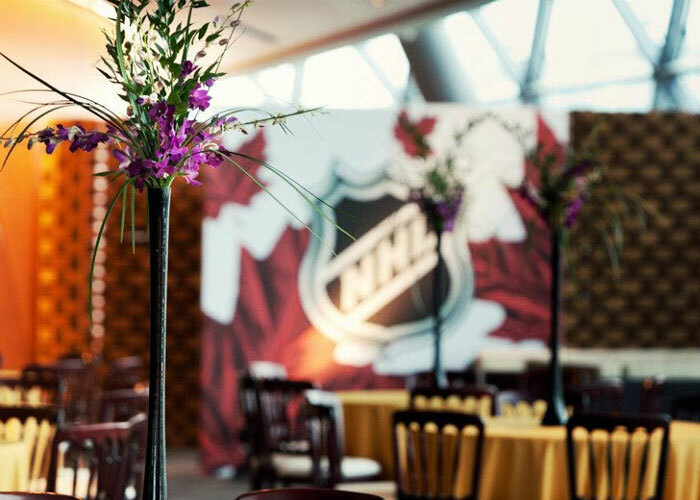 We had long meetings back and forth and were asked to help source a variety of items for the National Hockey League. One of the items were drafting chairs for the NHL Network broadcasters. One of the questions we get all the time is did you get tickets? The truth is we did! We had tickets for the game and the skill competition. It was great weekend for Ottawa. We remember standing outside and watching thousands of people lined up outside waiting to get in. 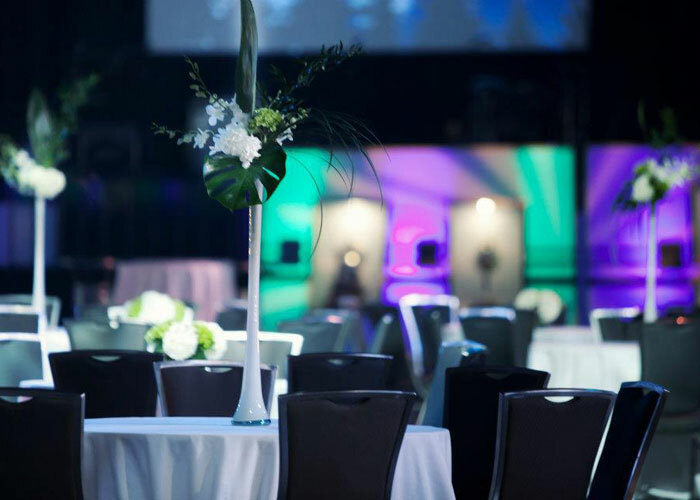 We supplied both personnel and rental products. 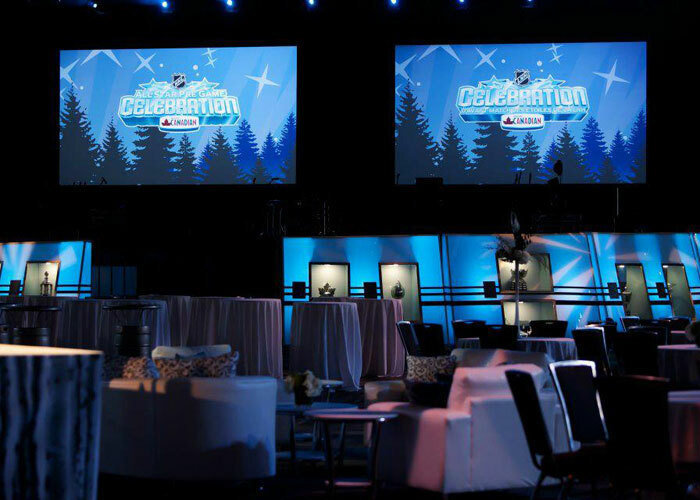 We provided event logistics and seems to have become experts in sporting events rentals. 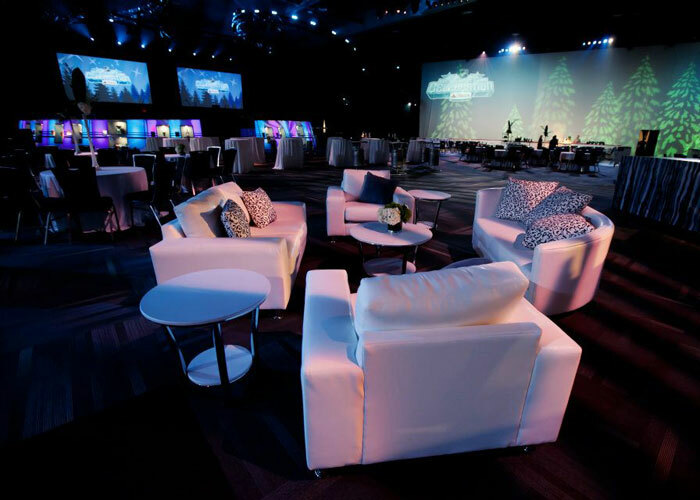 The National Hockey League required white leather sofas, coffee tables, end tables, draping, red carpet, televisions, lighting and more! We had to custom building some leg extenders to get the bar for the event up to 42". Let me tell you the sparks were flying as we were cutting through the steel. We supplied audio technicians for the show as well. 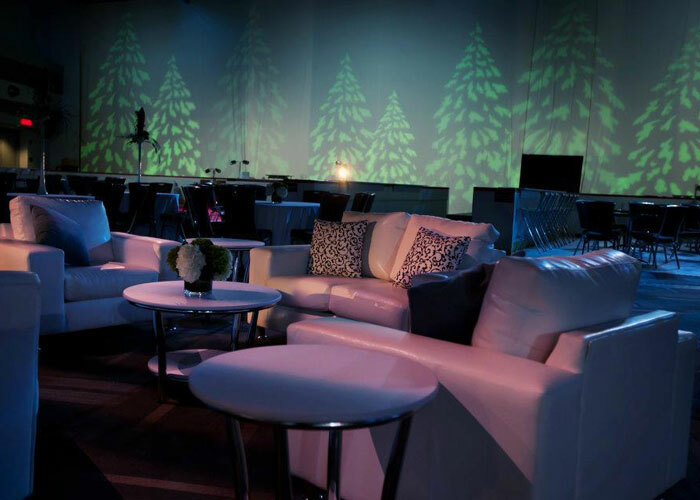 We truly were that one stop shop for all event rentals and were so proud of the entire city for putting on such a great event! 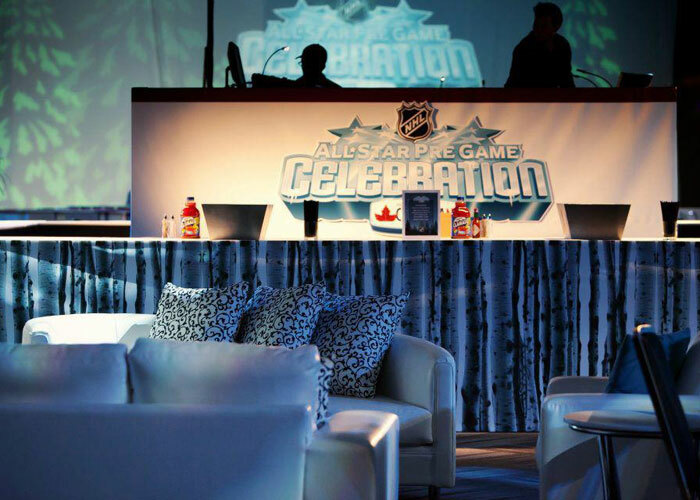 © Copyright 2019 Ottawa Special Events - used by the National Hockey League. 2491 Kaladar Avenue, Ottawa ON, K1V 8B9 - 1-613-482-1703. All Rights Reserved.